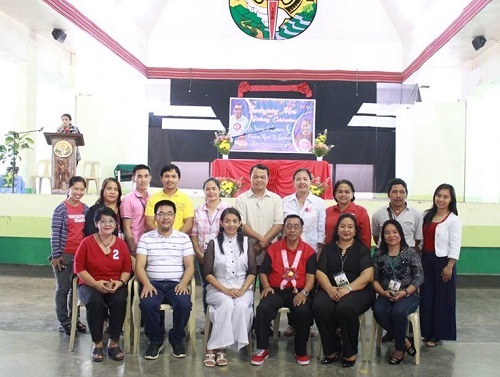 In a simple oath taking ceremony, the 2019-2020 Ifugao State University Alumni Association (IFSUAA) Federation officers took their oath of office with IFSU President Eva Marie CodamonDugyon, as their administering officer on January 28, 2019. On the other hand, IFSU Board Of Regents Chairperson Lilian A. De Las Llagas swears in Donato L. Ngabit, Jr., as the new President of the IFSU Federated Faculty Association and member of the board. Ngabit is currently a faculty member at IFSU Lagawe Campus.